Busworld Photography in Plymouth A first look at Plymouth Citybus' "new" Volvo East Lancs double-deckers due to enter service shortly to replace the older Volvo double-deckers. 411 is the first one into the current Citybus livery. Certainly looks smart but I still cant make up my mind about the rear end. I am sure once adverts etc are added it wont look quite so bare. As usual your comments are welcome! Both photos ©Brian George. Thanks! Agreed, looking very smart from the front but the back is looking a little plain. 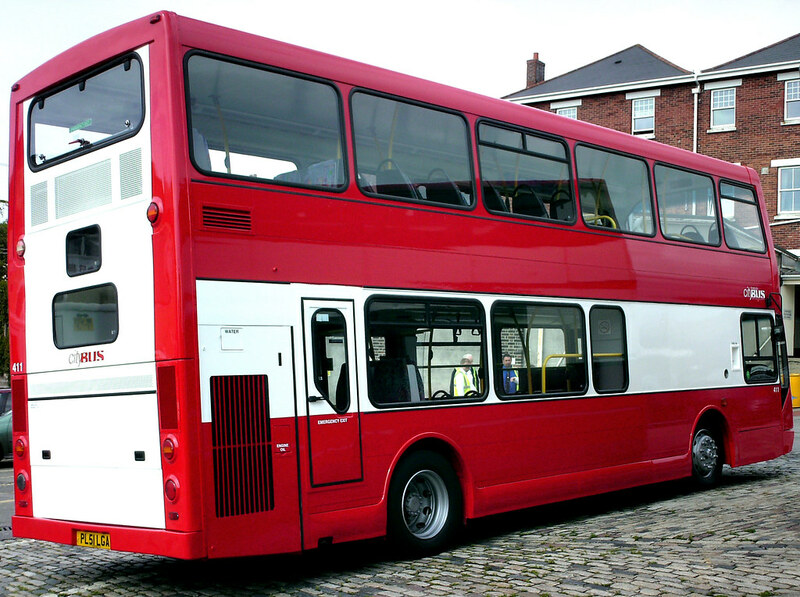 Maybe they should have painted it red from the first back window upwards, in line with the rest of the livery? 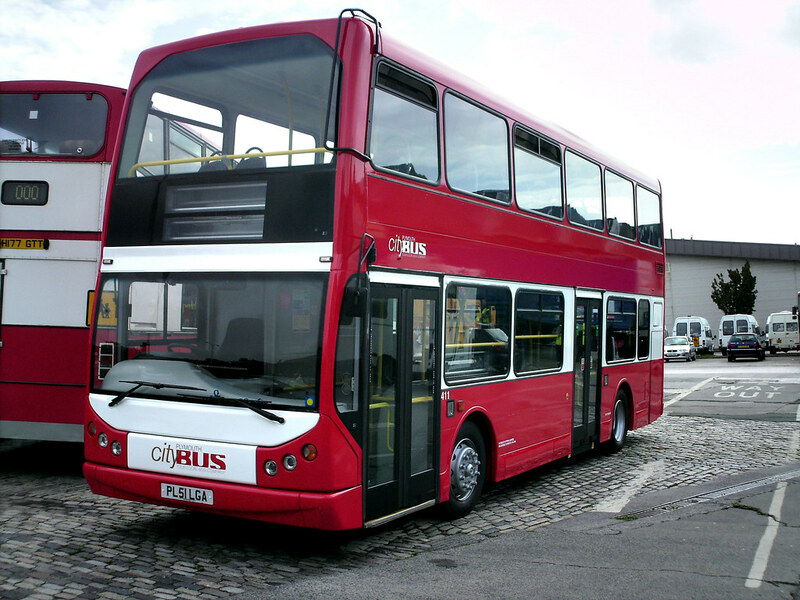 Still, good to see CityBus have brought in some more modern double deckers. I look forward to catching one if they put some on the 43 or 21/51 in busy times. Side on it looks terrific, the rear does look a little incomplete however. The location of the handles for the engine compartment means there is no room for the usual rear advert, which would have broke up all that white a bit. The lower white front panel does not sit that well imho, it looks like a crash repaired panel that has not yet been sprayed back to red again! Perhaps Graham, you could Photoshop the offending panel red, and move the fleetname up under the windscreen? I agree there is someting missing but knowing Citybus there will be changes shortly, it might be full rear adverts as this seems the norm on the old doubles. Maybe if the white was increased on the side above the windows so more in propotion. A very smart livery, traditional but at the same time modern. Well done CityBus, I look forward to travelling on these buses maybe on the 46/47 route.